»Clusty»Is it a Wonder (wheel)? What about ‘Clusty’? 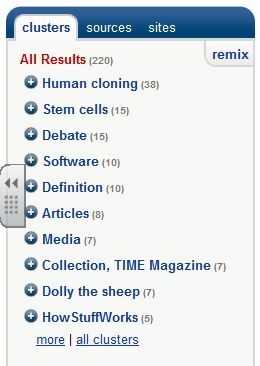 The idea of grouping related search terms is not new, however, and was used in the past by the search engine, Mooter. (Did Google buy this out?) 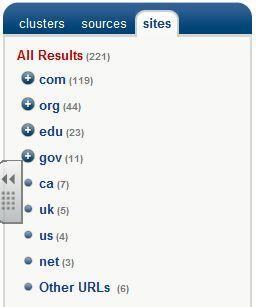 It is also still used by the search engine, Clusty, which has a few other options which may also be of interest to those wishing to refine their searches. 2. 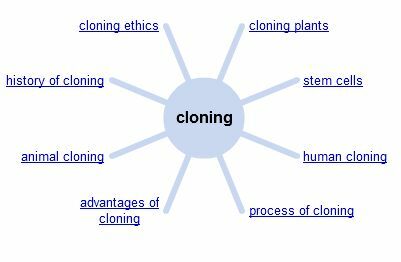 ‘Cloning’ search on Clusty provides a clustering or grouping of related terms, which can also help you to dig down further. The + sign indicates a folder which can be opened, the number tells how many hits within the group. So, there are other options available to help refine a search for more specific information, or to help brainstorm an idea to more specific keywords and concepts. The choice is yours.